The CFG’s chief commercial officer, Tom Glick, says there could be multiple clubs around the globe yet to join the expanding network. Lionel Messi, Sergio Aguero, and the stars of tomorrow. Incredible scenes at the CFA. Speaking of Sergio, he should be back in time to face Everton and continues his recovery with the Argentine national team, who are stationed at the CFA ahead of tomorrow’s friendly against Italy. Get ready for early kick-offs should City progress past Liverpool into the Champions League final four. Manchester City vs. Swansea – 16:30 on Sunday 22 April OR 12:30 on 21 April if City reach the Champions League semi-finals. West Ham vs. Manchester City – 14:15 on Sunday 29 April OR 12:30 on 28 April if City reach the Champions League semi-finals. Ilkay Gundogan believes he is almost at his best and is close to finding his Borussia Dortmund form that made City invest in him. We welcomed Sam Lee of Goal on to the fifteenth episode of the City Watch Podcast and he revealed that the Blues are looking at highly-rated French midfielder Tanguy Ndombele.
.@Sammy_Goal tells the City Watch Podcast that Manchester City are looking at France U21 midfielder, Tanguy Ndombele, who is on loan at Lyon from Amiens. 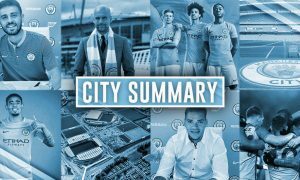 Be sure to check out the full episode of the new City Watch Podcast, the top-ranked Manchester City podcast on iTunes. Sam Lee contributes to an hour-plus of intriguing transfer and player recruitment-based discussion.  CITY WATCH PODCAST – EPISODE 15 @IanCheeseman is joined by @Sammy_Goal, @Adam_Wareing & @MattyDove to discuss the CL draw, player recruitment, Fred, the Ligue 1 starlet City are watching, Eden Hazard rumours, City and the media, and more! 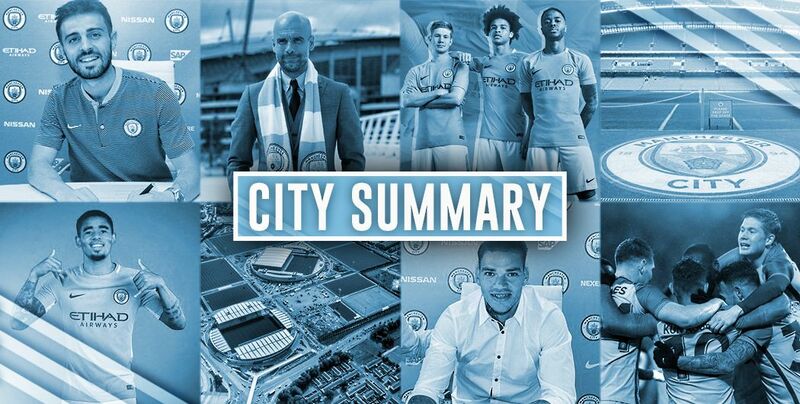 City Summary – March 25: Aguero reconfirms next move, Stones staying positive, Bravo to Italy?